As different technological advancements sprouted up over the years, it revolutionized the everyday lives of many individuals. Not just that, modern technology also changed how daily operations work in the business world. At present, the utilization of cloud computing became prevalent among business sectors, including the hospitality industry. Even telecommunications can be moved to the cloud and it offers different benefits to companies worldwide. And this could be done with the help of a hosted private branch exchange (PBX). The hosted PBX system is a telephone exchange system that is provided and managed by a third-party service provider. With this technology, the convenient app-based services are made possible. It can help hospitality businesses to improve their customer service and enhance the overall guest experience. Businesses that turn to this telephone exchange system are enabled to save precious time, money, and workforce. Business owners need to monitor incoming and outgoing phone calls in order to improve their hospitality business’ performance. And with a hosted PBX partner, you can perform automated monitoring for these calls and save money. This technology can lessen the need to monitor the staff that listens in on random calls. Moreover, it could also help you get feedback and call logging to help you improve your services and your guests’ overall experience. It is ideal for businesses to have a receptionist that can route calls and provide information all the time. However, that is too expensive to achieve quickly. That being said, an automated attendant you get when you make use of a hosted PBX system could really come in handy. With this technology, you can have an automated attendant to answer your business’ callers anytime. It can definitely reduce missed communication opportunities and it can also arrange to transfer calls to the right department. With the aid of a hosted PBX system, it becomes possible to have a single call directory you’re your entire business can certainly benefit from. This enables guests to acquire instant access to the whole communication stack. Moreover, it eliminates the inconvenience of trying to find direct numbers. The hosted PBX allows front desks to transfer the guests’ request to the nearest partner location. Moreover, this technology also permits internal transfers between locations. Every business proprietor knows that disasters are inevitable. No business is exempted from natural disasters, accidents and security threats. Hence, there is a need for companies to acquire disaster recovery services. System failures and data loss can be challenging, but with a hosted PBX automated system backup you can worry about these disasters less. This technology can help reduce the damage these disasters could cause to your company and help you to get back on your feet quickly after it hits you. Aside from the usual features from the traditional telecommunication installations, one of the advantages of having a hosted PBX system is its reliable calling features. With this technology, your communication technology can remain available as long as you have an internet connection. And with the help of accredited fiber optic technicians from the Fiber Optic Association of Cebu, you can optimize the devices you use for communication. Business growth comes with additional business needs – and one of the necessities a growing company needs are additional phone lines. Expansions can be challenging when business owners install the tradition telecom technologies for their businesses. That is because it takes a lot of time, money and resources to be completed. But with a hosted PBX, they can add more lines with ease. They can even have lines set aside for the hotel guests that will activate when a room in their hotel is occupied. By utilizing a good property management system (PMS), businesses can track guest activities like reservations, check-ins and check-outs with ease. Aside from that, this technology can also help hospitality businesses to enhance their customer service. With a PMS, they can coordinate cleaning efforts and prioritize their guests’ room service requests. 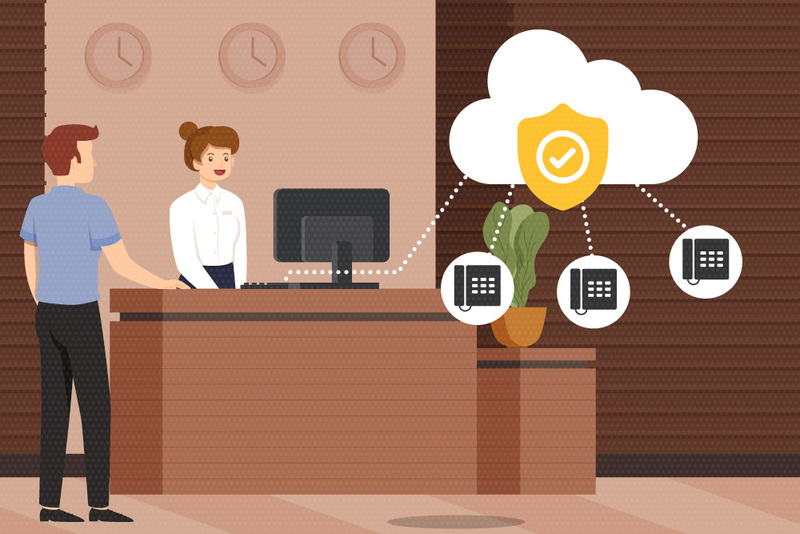 Moreover, when you integrate a hosted PBX with a PMS, you can reduce the workforce requirements of your company and put all communications technology into a single stack and enhance business operations.